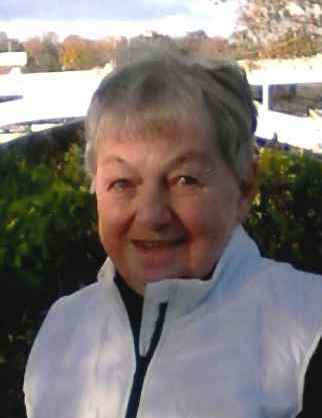 Mary D. Schruers, 75, of Ravlin Hilll Road., Panama, N.Y., died Thursday, Feb. 7, 2019, at her home. She was born March 17, 1943, in Jamestown, N.Y., a daughter of the late Eben and Martha Starkweather Edwards. Mary was raised and educated in Panama, N.Y., and graduated from Panama Central School in 1961. She then worked for Jamestown Mutual Insurance Company for several years. She then moved to Texas while her husband was in the service and the returned to Clymer in 1969. Eventually, she and her husband, Russ, settled on the family farm. Mary’s main priority was raising and caring for her family and assisting on the farm. She was a member of the Abbe Reformed Church in Clymer and sang in the choir. She enjoyed participating in the REACH quilting group and Women’s Ministry. She was involved in various Bible studies and lunch gatherings. Mary treasured the many friendships she made at the gatherings. She enjoyed gardening, flower arranging, baking and mowing the lawn. She loved nature and her cats: Dolly and Leo, but most important to Mary was spending time with her family. Mary was preceded in death in 2006 by her husband, Russell L. Schruers, whom she married June 9, 1967, in Panama, N.Y.
Mary is survived by two daughters: Stephanie Schruers of Corry, Pa., and Jennifer Schruers of Clymer, N.Y.; a son, John Schruers of Clymer, N.Y.; a brother, Earl Edwards and his wife, Marsha of Warren, Pa.; and a sister-in-law, Eleanor Aikens of Clymer, N.Y. She is also survived by a niece and several nephews and cousins. Family and friends are invited to call at the Bracken Funeral Home, 315 N. Center St., Corry, Pa., on Sunday from 2-5 pm., and attend the funeral service on Tuesday at the Abbe Reformed Church, 595 Clymer Sherman Road, Clymer, N.Y., at 11 a.m. The Rev. Tim Phelps, Hospice chaplain, will officiate. Burial will be in Clymer Center Cemetery, Clymer, N.Y.
Memorials may be made to REACH Ministry, c/o Abbe Reformed Church, 595 Clymer Sherman Road, Clymer, NY 14724, or Chautauqua County Hospice, 20 Fairmount Ave., Lakewood, NY 14750. The family wishes to say a special thanks to all the doctors and care givers of Mary throughout the years.